1 large Eggplant, firm with no soft spots. Note: You should not need any additional salt, as you will have salt from the eggplant, pesto and marinara. 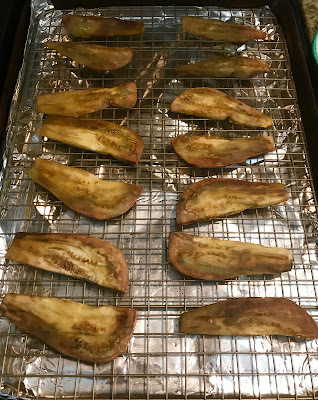 Peel and slice the eggplant. Place around outside of a colander and salt on both sides, so it can sweat out any bitterness. After 30 minutes remove, pat dry and brush with olive oil and place into a 385F oven for 30 minutes. Turning, half way through the cooking time. Mix the marinara, pesto and chili flakes together in a large bowl. 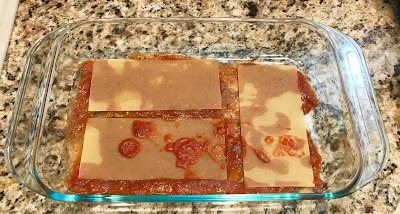 To assemble the dish, add a layer of marinara mixture to the bottom of the baking dish, add no bake lasagna sheets, then more marinara, eggplant and mozzarella and dot with ricotta. 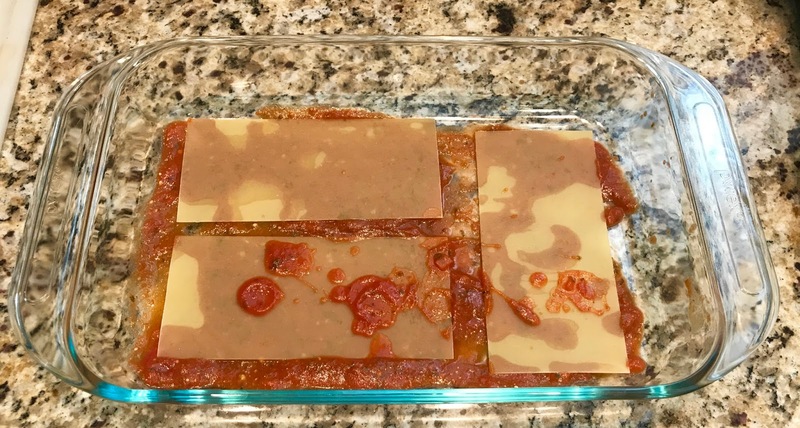 Grate parmesan over all and continue layering until the dish is about 1/4 from the top. Finish with any leftover cheese. 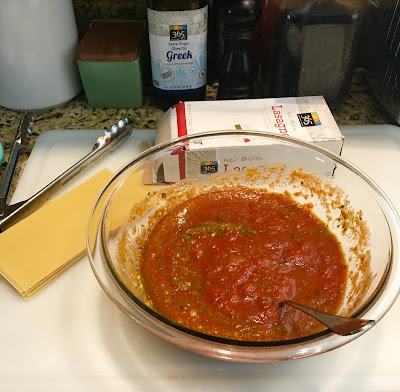 Cover and bake for 30 minutes in a 385F oven, remove and allow to rest for 10 minutes before serving.